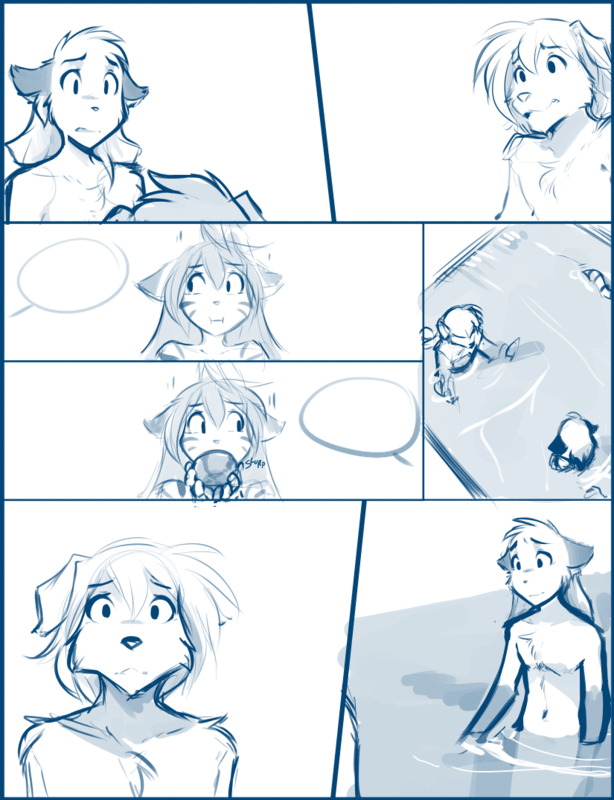 1045: Pulled in Two Directions - Twokinds - 15 Years on the Net! Mike: Evals, I’m not going with you. I told you before, I don’t have a place in Keidran society. Evals: Of course you do! You’ll be with me! Evals: What? N-no! They… eh… n-not all of them… …I don’t. Evals: Mike, would you really rather risk trekking through tiger lands than go back home with me? Mike: That’s not the point. The point is it’s not home for me over there. Evals: Home is where you make it! It’s family! Evals: And who knows if you’ll find that over there! Evals: Mike… you’re my family too. We’re a pack! We dogs stick together! Mike: I know going back has been your dream since we were kids. I don’t want anything to stand in the way of that. Mike: But… I need a place where I belong too. I’m sorry. Once we leave… it’s probably going to be the last time we see each other.